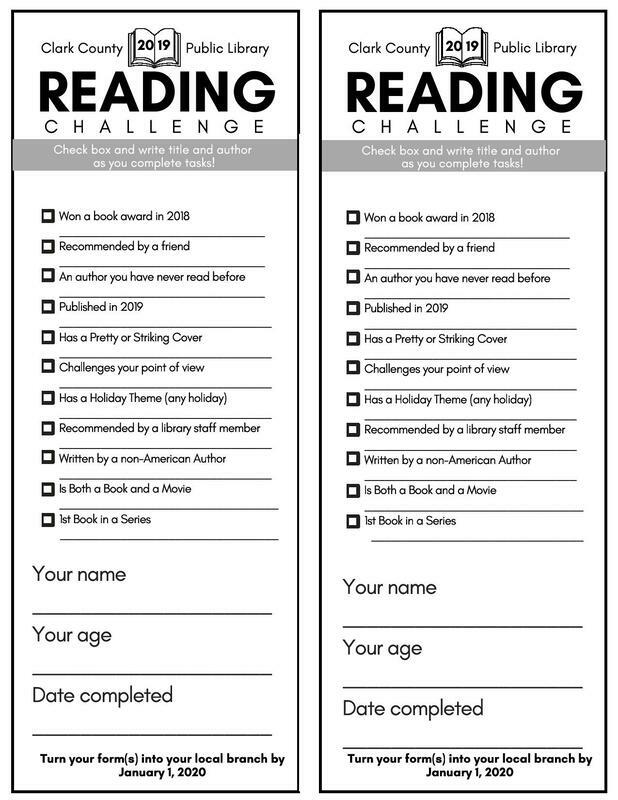 We are encouraging our local citizens to participation in our 2019 Reading Challenge! This challenge is open to all ages and can be done online or on paper. Participating is easy! Visit this form to log the books you have read or pick up a paper form from the library (or print your own from this page). When you finish reading something in each of the categories, you are finished! If you are participating with the online form, there is nothing additional you need to do, but if you are participating with a paper form, you will need to bring that form in. This program ends December 31, 2019.